What is phragmites? What is it used for? Phragmites is the name given to several species of aquatic grasses, including the water reed, the giant reed, the sea reed and reed canary grass. The grasses can reach a height of between five and 15 feet, with feather-like flowers and thin, stiff, hollow stems. The rhizomes are used in herbal preparations. They are usually dug up at the end of spring or in the fall and removed of fibrous material. Once the fibrous roots have been removed, the skin is peeled off, and the rhizome is placed in the sun to dry. According to the principles of traditional Chinese medicine, phragmites has sweet and cold properties, and is associated with the Lung and Stomach meridians. Its main functions are to clear heat and promote the production of fluids. Phragmites contains a variety of chemical compounds and nutrients, including vitamin A, several B vitamins, ascorbic acid, and several triterpenes. Phragmites is employed to help treat cases of severe thirst and fever, along with coughs, congestion in the chest, and nausea and vomiting. Phragmites also acts as a diuretic to promote the production of urine. How much phragmites should I take? The typical dose of phragmites is between 15 and 30 grams, decocted in water for oral administration. Fresh phragmites is believed to be more effecting in clearing heat and promoting the production of fluids than dried phragmites. What forms of phragmites are available? 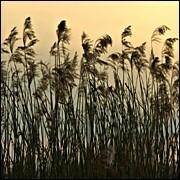 Dried phragmites can be found at many herbal shops, Asian markets and specialty stores. Fresh phragmites is less common, but can also be found at many of the same locations. What can happen if I take too much phragmites? Are there any interactions I should be aware of? What precautions should I take? Because of its cold nature, phragmites should be used with caution by patients diagnosed with spleen and/or stomach deficiency. As of this writing, there are no adverse side-effects or drug interactions associated with phragmites. As always, however, make sure to consult with a licensed health care provider before taking phragmites or any other herbal remedy or dietary supplement. Baldantoni D, Alfani A, Di Tommasi P, et al. Assessment of macro and microelement accumulation capability of two aquatic plants. Environ Pollut July 2004;130(2):149-56. Batty LC, Younger PL. Growth of phragmites australis (Cav.) Trin ex. Steudel in mine water treatment wetlands: effects of metal and nutrient uptake. Environ Pollut November 2004;132(1):85-93. Chen JK, Chen TT. Chinese Medical Herbology and Pharmacology. City of Industry, CA: Art of Medicine Press, 2004, pp. 117-118. Gruenwald J, Brendler T, Jaenicke C (eds.) PDR for Herbal Medicines. Montvale, NJ: Medical Economics Company, 2000, pp. 639-640. Weis JS, Weis P. Is the invasion of the common reed, phragmites australis, into tidal marshes of the eastern U.S. an ecological disaster? Mar Pollut Bull July 2003;46(7):816-20.